One of the things I love about having a little girl is how girly she is. She loves dressing up, doing her nails, getting her hair done and putting on make up. So when I had the chance to review a few different bows from The Ultimate Bow, I was pretty excited because I knew she'd be thrilled to see all the bows that she could wear. The Ultimate Bow carries unique, well made, high quality bows for your little girl to wear. Not only could you have them for your little girl, but they are perfect for cheer and dance squads and for competitions as well. You can order them in bulk or individually, which is pretty neat and they're very affordable, which is what I look for in hair accessories when it comes to my little girl. We received a box full of different styles, designs and sizes of bows for my daughter to try, her favorites, were the pink ones, just like her favorite color. My favorite had to be the leopard print, but that's just because I love anything with animal print on it. I also love the fact that they sell the Pink Courage bow with a bedazzled ribbon in honor of Breast Cancer Awareness. I found these bows to be very durable. They aren't just your ordinary bows you find at the dollar store. They're tough and can stand through just about anything. The band that the bow is wrapped around is very high quality as well and aren't your average cheap bands that can snap. I've pulled and tugged on the band the bow is wrapped with and it has yet to break. 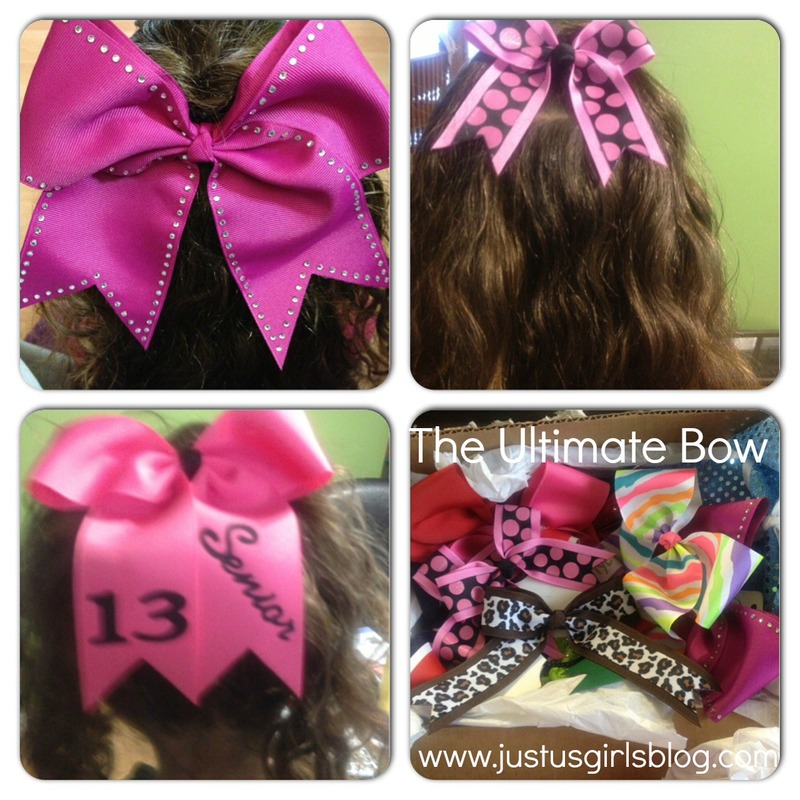 If you're looking for something unique, different and high quality that screams sparkle for your little girl or a group of girls, check out The Ultimate Bow, they rock! Disclosure: All opinions are my own. I received samples of The Ultimate Bow at no cost for the purpose of this review. No other compensation was received.